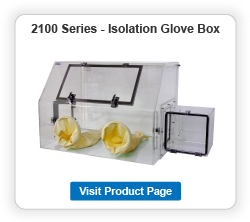 Cleatech’s 2600 Series compounding aseptic isolators provide a sterile, positive pressure environment for compounding non-hazardous drugs. 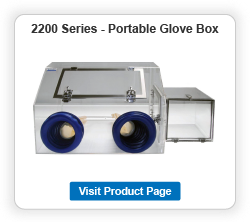 Both the work zone and antechamber areas are supplied with HEPA filtered unidirectional air flow to meet ISO Class 5 conditions and sterility to minimize cross-contamination. 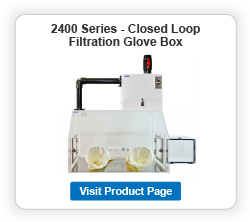 The FFU (fan filter unit) serves as the backbone of the compounding pharmacy isolator. Its direct-drive electric motor forces air through a HEPA filter that is rated 99.99% efficient at removing all particles 0.3 microns and larger. A ULPA filter can be utilized for more stringent cleanliness requirements since they are 99.999% efficient at removing particles 0.12 microns and larger. 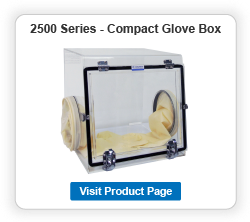 2600 Series compounding aseptic isolators are an ideal choice for applications that handle non-hazardous drugs and are not intended for hazardous drug compounding. Pressure Gauge: Magnehelic gauges (0 – 0.25” Water Column) monitor the internal positive pressure of the main chamber and antechamber. IV Bar: Stainless steel rod, 0.5” diameter including S-shaped IV hooks, mounted about 5” from the filter face. Test ports: To test or certify the internal pressure and the differential pressure of main and antechamber, two ports are located on the left upper side of unit. Hospital grade power strip with four outlets provides 110 VAC if a power outlet is needed inside the glove box. Chemical Resistance Anti-static BUTADYL Gloves, 15-mil thick , 32″ length with 8″-dia. cuff opening and 9 hand size. BUTADYL Gloves are alternative to HYPALON, NEOPRENE or BUTYL in many application. 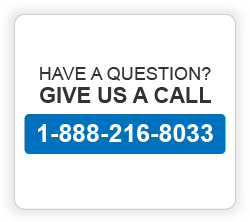 it offers strong resistance to particularly harmful agents, such as AROMATIC HYDROCARBONS, PETROLEUM SOLVENTS, and LIPIDS.